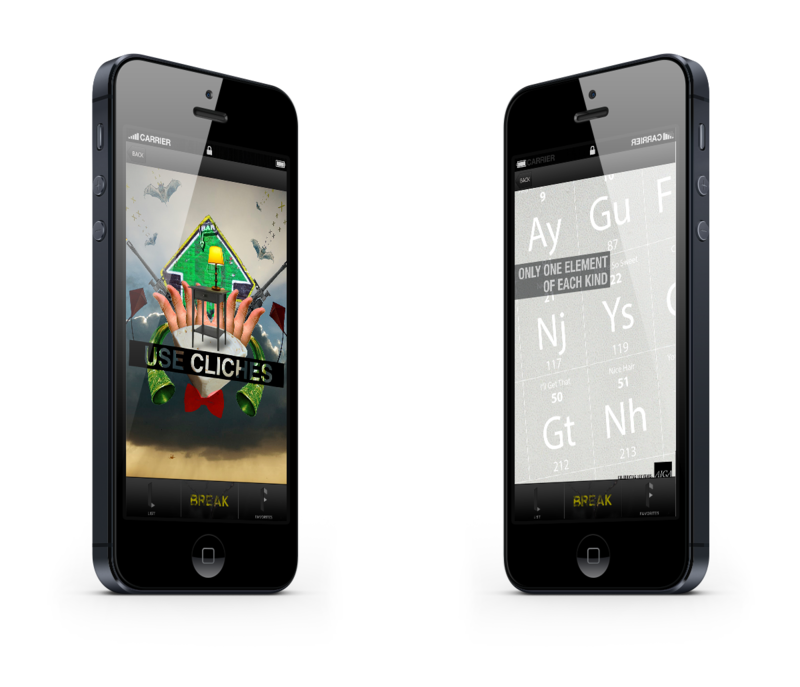 App design to accompany the Make things difficult project. It is a simple little app that helps creatives get over mental blocks during the creative process.  A Simple App design to accompany the Make things Difficult Project. 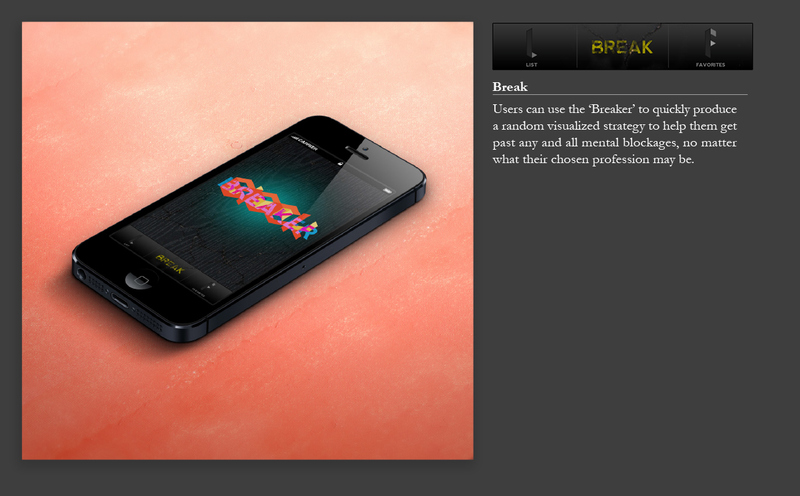 Block breaker uses Brian Eno's mental exercises to help the user get over a creative block. whether they are a musician, designer, writer, or any other creative endeavor, Block Breaker can get them over the bump in the road. favorites page. Allows you to quickly access your best breakers.